Following on from our previous smart recruitment Q&A with recruitment software company BidRecruit where we spoke on the latest recruitment trends and tips for HR & Hiring managers considering investing in HR software, we caught up once again with Susan Comyn, Marketing Manager of BidRecruit. Today’s Q&A focuses on one of the biggest trends in recruitment, Candidate Experience, and it’s importance during the recruitment process and beyond. Question 1: What is candidate experience? Candidate experience is defined as how job seekers perceive and react to employers’ processes during the hiring journey, including initial exposure to your employer brand to the interview process regardless of the outcome. As we spoke about previously, it has become an increasingly important trend due to review platforms like Glassdoor becoming more widely used and regarded. In fact, a LinkedIn survey found 72% of candidates have shared their experience on online employer review sites, therefore companies have to ensure candidates have a positive experience irrespective of their hiring success. According to Career Builder, 78% say the overall candidate experience they receive is an indicator of how a company values its people. What’s worth remembering is, while people might talk about good candidate experiences, they will more likely talk about negative candidate experiences. So it’s worthwhile investing in processes and best practice to create a great candidate experience for all. Question 2: Where is the best place to start when improving candidate experience? We would first suggest reviewing your job descriptions and application process. According to Recruiting Brief, 60% of job seekers report they have quit an application due to its length or complexity. Take the time to speak with the department hiring manager to properly establish what is required and the skills, both hard and soft, they are looking to add to their team. Make sure to relay company culture and values in the job description to help attract the right culture fit, something that is key to employee engagement and retention. Next, review your application process and the number of steps needed to apply. Having to create an extensive profile and answer numerous questions that don’t relate to the position will inevitably result in drop-offs. This shouldn’t be seen as a lack of intent by candidates, in fact, candidates will see this as a lack of investment by the company to find the right candidates by creating a time-intensive process and a negative candidate experience. No two jobs are the same and the application process should reflect this, making it as straight forward as possible for candidates to apply. Question 3: So you’ve improved your application process and you have a huge stack of CVs, what’s next? The biggest issue surrounding candidate experience is a lack of communication during the process, with 65% of job seekers saying they never or rarely receive notice of their application status, according to Lever. As we stated previously, HR Managers state that recruitment is 25% of their job but takes up 95% of their time. When you are recruiting for numerous positions and receiving numerous CVs for each position, it’s understandable that you can’t get back to every individual with individual emails, you are only human! That’s why technology and automation is the best solution to overcome this and improve the candidate experience. Automation software allows you to communicate quickly and easily to groups of people with relevant feedback. Automation software also allows you to streamline and bring candidates through the process efficiently with constant communication, allowing you to focus on the human element of the candidate experience, the interviewing stages. Question 4: What are your tops tips for the interview stages to improve candidate experience? With 74% of employers saying they hired the wrong person for a position, according to a recent Career Builder survey, preparation is key. Read the candidate’s CV, research them online, prepare job description & company relevant questions along with questions directly relating to the candidate and their experience. 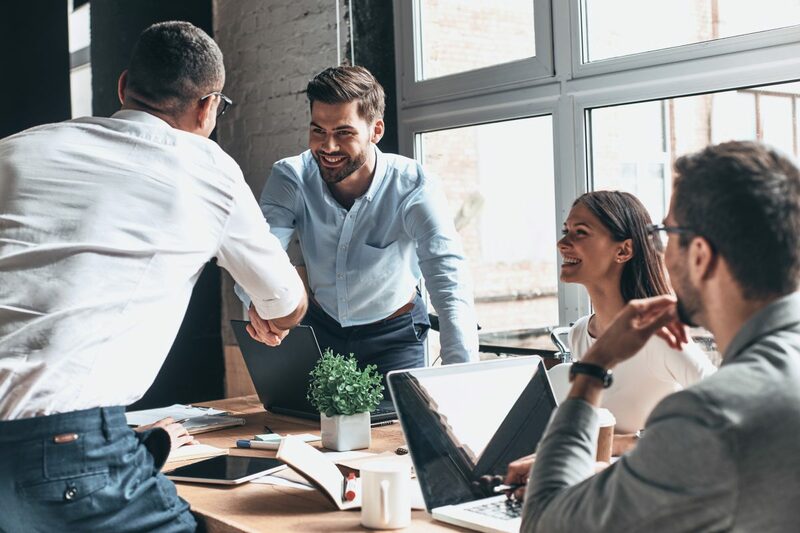 With an increased focus on company culture and employee engagement, candidates now more than ever want an interview that is a two-way street. In an interview, both the interviewer and candidate are trying to sell each other. While the candidates are selling their skills, experience and personal fit, the interviewer needs to be actively selling the company. Finally, remember that the little things go a long away when interviewing; informing reception of incoming candidates for an interview so they receive a warm welcome, offering a drink upon arrival and establishing a relaxed atmosphere can differentiate you from the competition in terms of candidate experience. Make sure to check out the BidRecruit blog for more tips and advice on ways to improve the candidate experience and all things smart recruitment. Join us next time where we will discuss why companies need to embrace social media when recruiting and tips on making the most of this to attract talent.